My local NFL team, the Seattle Seahawks have just qualified to play in the upcoming Super Bowl and if they win, it will be the second time, and two years in a row that they're coming home with the trophy. So my interest in the NFL and the Super Bowl in particular has been on the increase. Imagine my horror to read this double whammy of a report. First, the Patriots who the Seattle Seahawks are to meet at the Super Bowl have been accused of deflating the balls that they used in their win over the Colts. 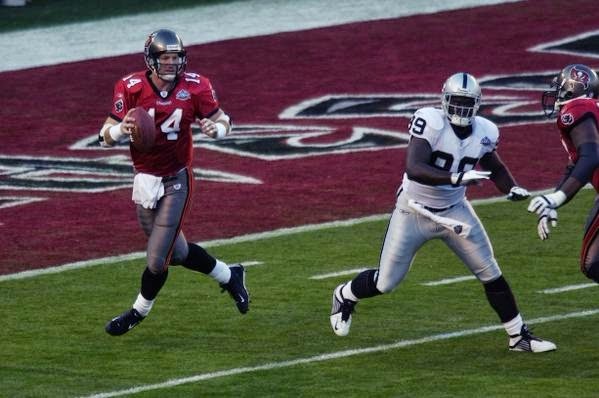 As the NFL is investigating whether the Patriots violated NFL rules by tampering with the footballs, former Buccaneers quarterback Brad Johnson has admitted to paying a bribe to have all the footballs used in the 2003 Super Bowl tampered with.